We are pleased to announce that autoVHC will be exhibiting at the 25th Automechanika Frankfurt, taking place from 11 to 15 September 2018 at the Messe Frankfurt trade grounds. 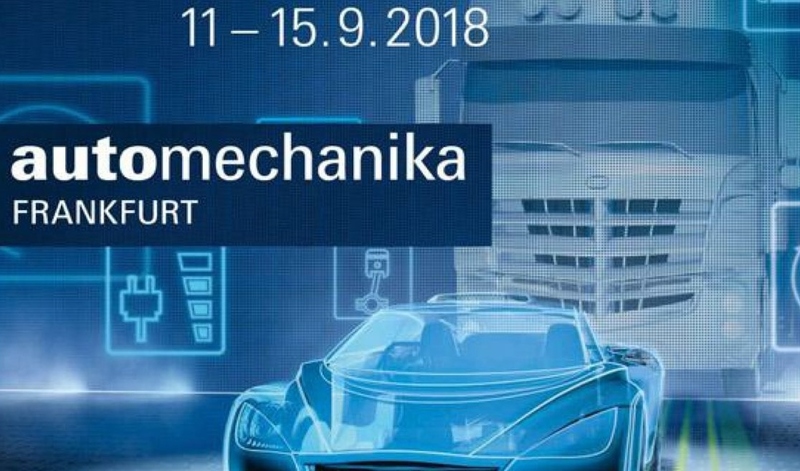 Automechanika Frankfurt is arguably the most important trade fair for the automotive aftersales market and has been organised by Messe Frankfurt since 1971. Approximately 133,000 trade visitors from 170 countries came to the last event in 2016 to see the latest developments on offer from 4,843 exhibitors. Automechanika acts as a meeting place for the industry, bringing manufacturers, retail and workshops together in one place. Though the event is large is it also extremely accessible, thanks to the exhibition grounds’ clear structure and visitor guidance systems. This year, for the first time two trades fairs will be taking place alongside each other at the Frankfurt exhibition grounds, Automechanika, and REIFEN. This will give delegates the opportunity to capitalise on the benefits of both fairs at the same time. Automechanika has become an international hit that now takes place in 15 countries. The show has built an international network through this growth, which means that delegates can benefit from the chance to make international contacts and tap into markets in other countries. we have recently released the latest version of autoVHC; designed to maximise the original core functionality and build on it with a number of extra modules and enhancements. We have introduced a performance dashboard so that managers can monitor workshop activity with a single pane of glass view. Users can set their own targets and evaluate business performance by tracking key metrics such as the average number of eVHCs performed, completion rate and the average percentage of Red work sold per vehicle health check. autoVHC V2 also incorporates a new technician mobile app featuring in-built video and photo compression. This allows for improved media uploads, and increased transparency for the customer. We look forward to speaking to delegates at Automechanika about our automotive Vehicle Health Check software and demonstrating how using autoVHC can help your dealership quickly and reliably identify and categorise aftersales work. Completing eVHCs in the workshop allows for a greater upsell opportunity and higher conversion rates on required work. It does this by enabling service teams to provide customers with a thorough overview of car examinations. As the typical service department makes up 50% of a dealership’s overall profits it’s important that General Managers and Dealer Principal are able to accurately evaluate aftersales activity to ensure revenue opportunities are not being missed. We look forward to seeing you at the show to discuss the enhanced functionality of our software and how it can help your dealership tap into this aftersales revenue. Come and see us in Hall 8 at stand A96. To find out more about Automechanika and to book your place please click here.